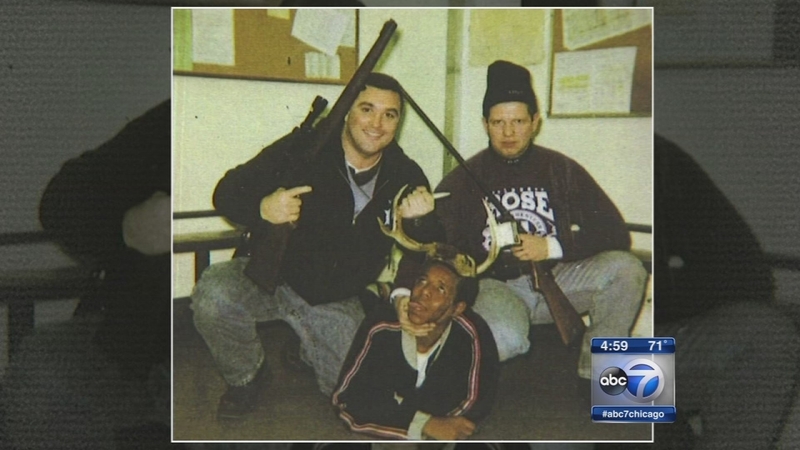 CHICAGO (WLS) -- The family of a man who says their son was forced by Chicago Police to appear in a racially-charged photo says they fear more pictures are still out there. The FBI uncovered the decade-old photo during its investigation of the officer on the left, Jerome Finnigan. Finnigan is serving federal time for shaking down drug dealers and plotting to kill a fellow cop. The officer on the right is Tim McDermott, who was fired by the department when the photo surfaced. After McDermott sued for reinstatement, a judge upheld his firing. As first reported, relatives say Michael Spann is the African-American man in the photo. They think more officers may have been involved. Spann's uncle says two other officers were involved: one who took the picture and another who posed in other photos.